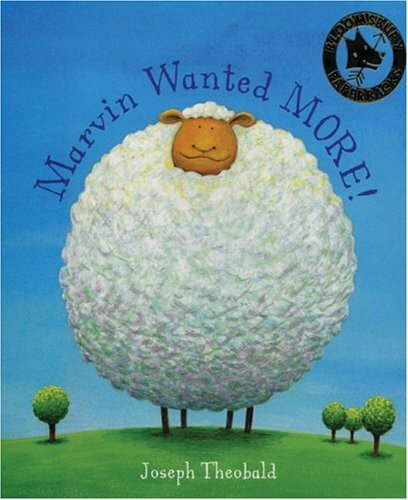 Marvin is not a happy sheep. All the other sheep are bigger than him, and can run faster and jump higher than he can. So Marvin decides to do something about it. He eats. 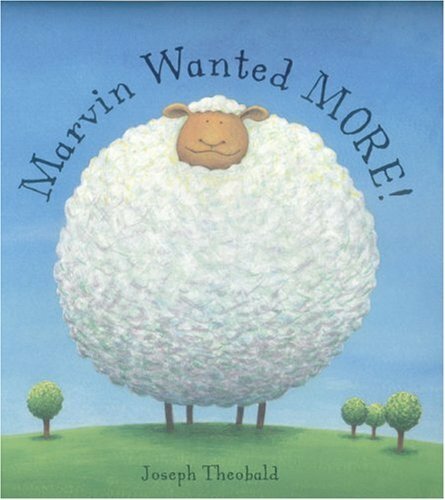 And eats, and eats, until he is so big that there is nothing left for him to eat in the world—at which point Marvin eats the world itself! But that is a step too far, and what went in is going to have to come out. This is a rumbustious story that shows how it is possible to take some self-improvement just a little bit too far. 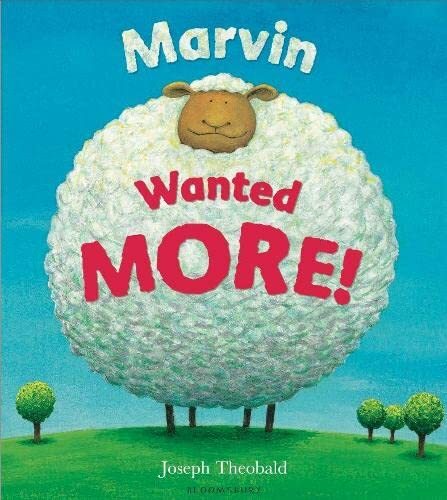 Marvin is not a happy sheep. 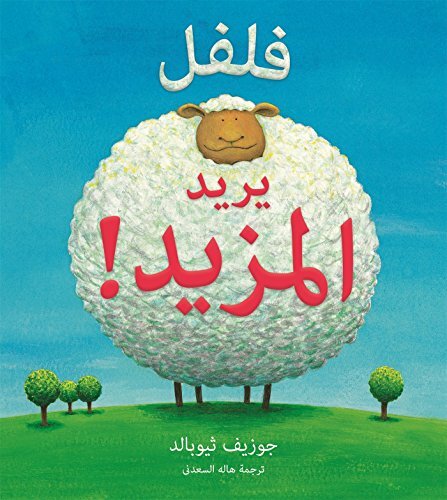 He’s smaller than the other sheep, he can’t run as fast, nor can he jump as high. So Marvin decides to EAT! 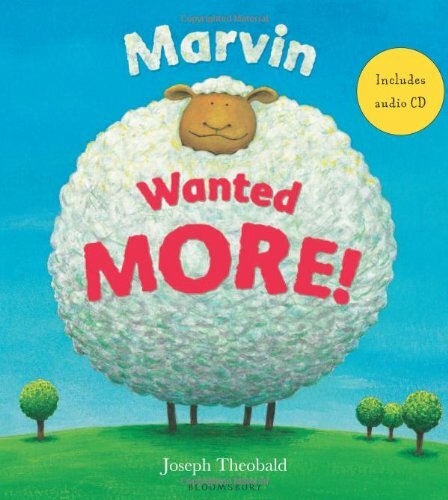 But however much he eats, Marvin still wants MORE! 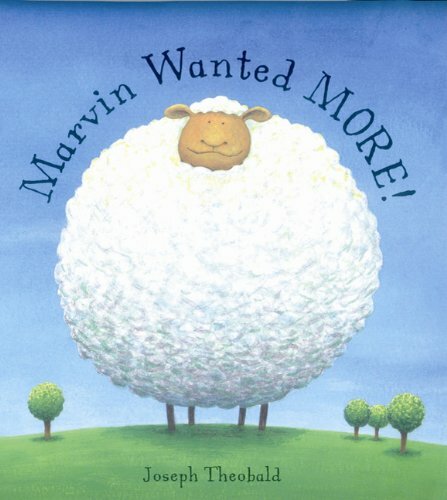 In fact, Marvin really goes a bit too far—and then drastic action must be taken... A lesson in self–acceptance lies at the heart of this giggle–inducing yarn from a gifted new illustrator. Ages 3–5.